When fielded, choose an opponent’s character card, canceling all previous choices. Your opponent cannot field that character while Loki is active. This effect lasts until you field another Loki. Loki: Gem-Keeper’s ability only prevents a character from being fielded while active. Loki's ability does not trigger when he returns to the field after having been captured (e.g., by Basic Action Imprisoned). Returning to the Field Zone from somewhere else isn't considered fielding. As a result, the player cannot use Loki's ability for that die. 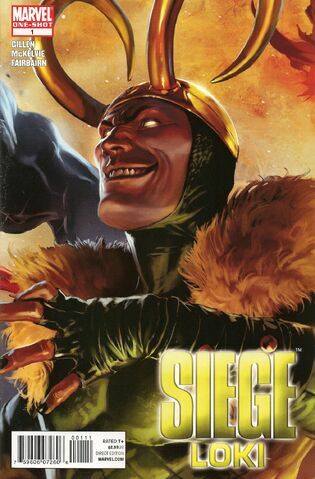 If a second Loki die had been fielded while the first was captured, the second choice would take over and cancel the previous one. If an opponent uses action Prismatic Spray: Lesser Spell Loki's ability cannot be applied. Even though Loki has you choose an opponent's character card, if you were to try and check what happens from that choice, Prismatic Spray takes away Loki’s abilities, it thus also takes away his ability to prevent the named character from being fielded.